There are things in this life that have the power to take you to a land of endless possibilities. I find myself feeling this way while staring at my KitchenAid, while wading in ocean, or at the Alameda Flea Market. 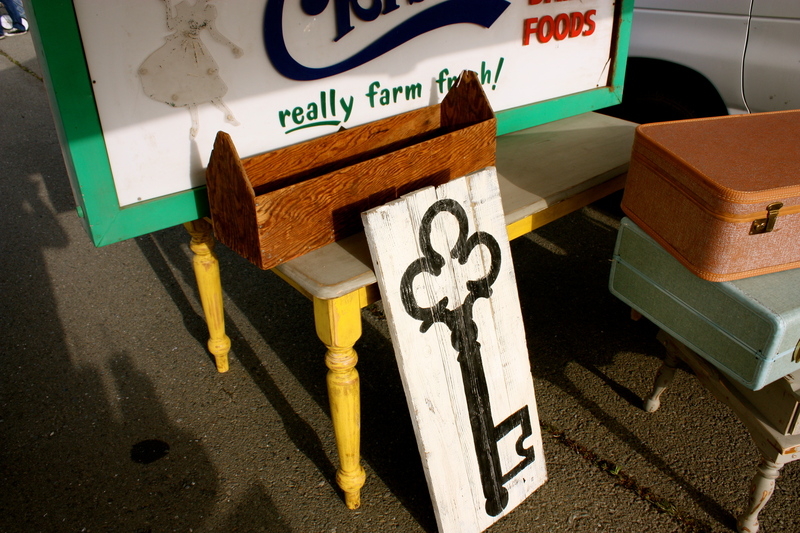 The Alameda Flea Market happens the first Sunday of every month at Alameda Point and is full of endless decorating options. A year ago was the first time I visited the flea market and I was overwhelmed with how wonderful all of the shabby chic décor, the antique furniture, and other collectibles were. During that visit my boyfriend and I spent hours wandering up and down the aisles decorating our non-existent apartment and the first Sunday of April, just a year later, we found ourselves buying furniture for our very real apartment. 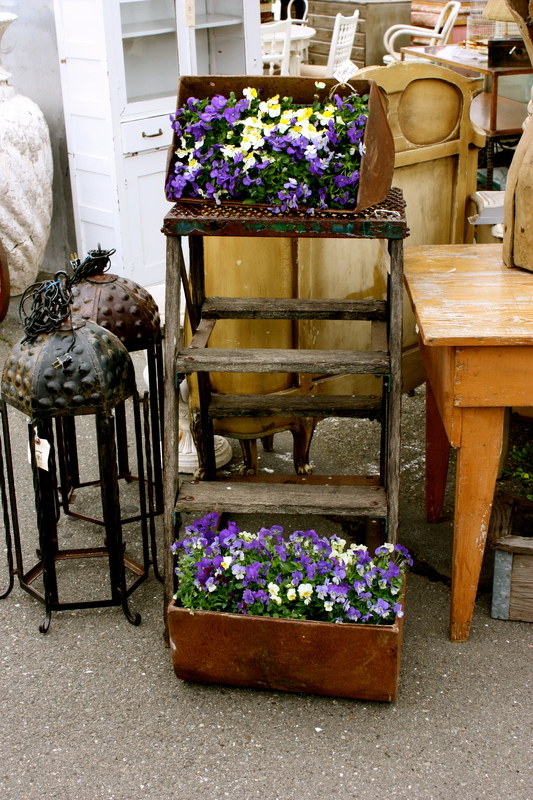 The Alameda Flea Market is formally known as the Alameda Point Antiques Faire. It is called that because every item within the fence is meant to be 20 years or older (not quite the definition of an antique, but I’ll take it). During my visits to the flea market I have found that not all of the items look to be 20 years old, but the ones that are younger are balanced out by the items that are true antiques. On multiple occasions I have found myself caught up in the history of a piece: learning which country it is from, when it was popular in the United States, it’s original use, and how it ultimately ended up sitting outside in Alameda. I must warn you that these conversations normally end with an exchange of money and you wondering where you will be putting your newly purchased furniture (don’t say I didn’t warn you). Glamorous goods aside, the flea market is like any other: full of negotiating and aggressive hunting for that perfect piece. My advice is to arrive with goals in mind (ours were to find a kitchen table and TV stand), show up early, and really shop around. If you purchase the first thing you like, you may find yourself regretting it later when you find a nicer piece for less. Once you purchase your pieces don’t feel like you need to rush them to the car. You can continue to shop around and use one of the complimentary flat beds they have to move everything to the car at once. 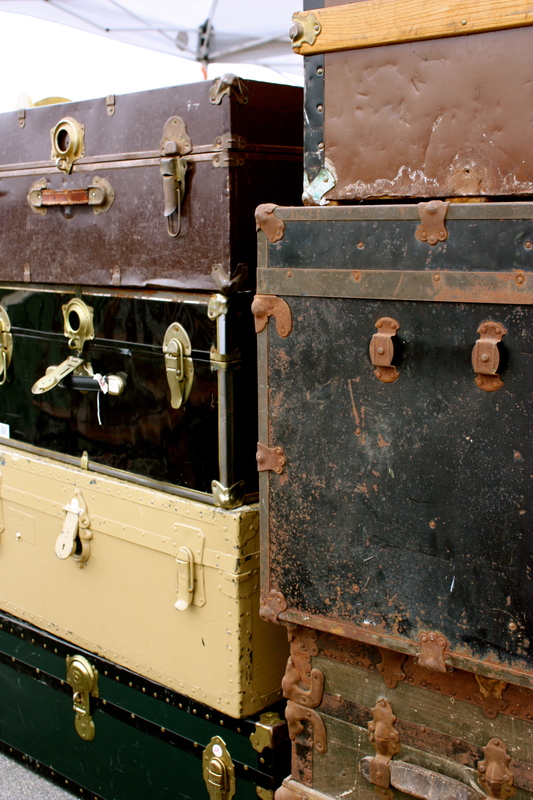 If you’re lucky, you might just find yourself exploring all of the decorating possibilities the Alameda Point Antiques Faire has to offer. This entry was posted in Explore, San Francisco, Stuff we love and tagged Alameda, covet, East Bay, explore, Flea Market, shopping, Sunday Morning, Wander.